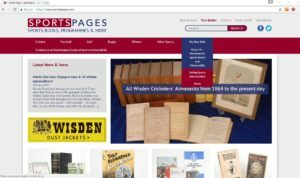 There are several ways for you to search Sportspages’ website. You might be looking for an item of signed memorabilia, signed by a particular sportsperson or writer. You could be searching for something related to a particular sport or year. Or you could simply want to browse, looking for a rare golf book, rugby autograph or football programme to catch your eye. If you know exactly what you are looking for, type your search term in the search bar at the top of the homepage. 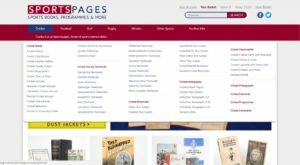 If you want a sense of the breadth and depth of Sportspages’ range of sports memorabilia, however, hover your mouse over the top bar on the homepage. 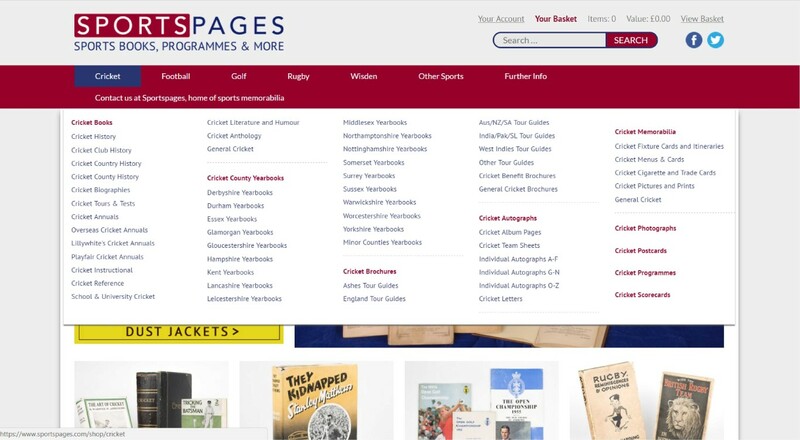 As you can see in the image on the right, the drop down bar shows you all the categories of sports memorabilia for each sport listed on the homepage’s toolbar at the top of the page. Alternatively you can double click on any of the sports in the homepage’s toolbar. That will take you to each sport’s homepage. There you can see the sport’s main categories on the left hand side. If you’re looking for signed sports memorabilia, you can tick the ‘signed’ items. That will bring up all the signed sports memorabilia in that category. If you have an idea of budget, you can slide the budget bar to the appropriate place. The items on that page will be refined accordingly. Similarly you might be inspired by suggestions in the Person,Venue, Subject drop down lists. They offer suggestions on the most searched terms. If you still can’t find what you’re looking for, you can always call or email us too!